Candace H. Johnson-For Shaw Media Colin O'Malley, 14, and Daniel Ota, 15, both of Grayslake get help from Joe Kane, of Antioch, president, putting the beef on a cutting board during the Terry Rockenbach Memorial Lions Steer Roast at the Grayslake Middle School. Both boys are from the Grayslake Central football team along with others who volunteered to help for the event. 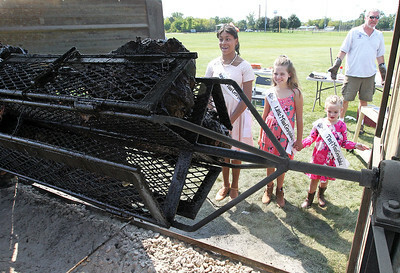 Candace H. Johnson-For Shaw Media Grayslake 2017 queens: Jr. Miss Rose Garay-Rodriguez, 12, Little Miss Grace Anderson- DeSanto, 9, and Tiny Miss Charlotte Totten, 4, look at the spit cooking steamship rounds of beef during the Terry Rockenbach Memorial Lions Steer Roast at the Grayslake Middle School. The beef rounds cooked for 14-18 hours before being served.1200 lbs. of beef were cooked for the event. 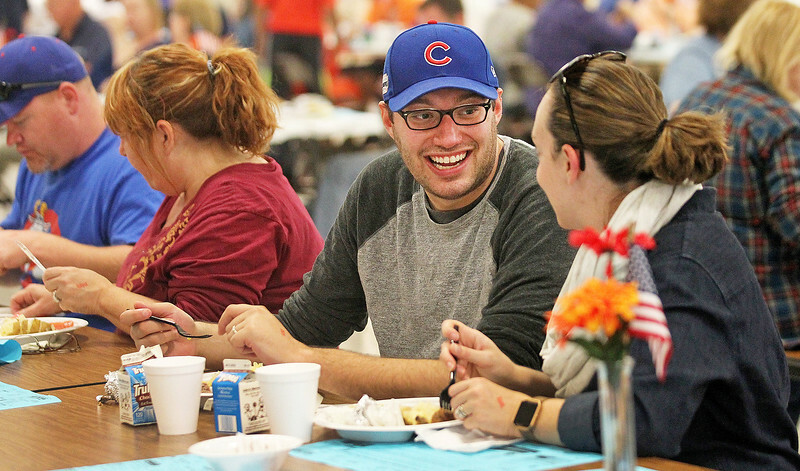 Candace H. Johnson-For Shaw Media Chad and Amy Spiegel, of Grayslake enjoy their beef dinner during the Terry Rockenbach Memorial Lions Steer Roast at the Grayslake Middle School. 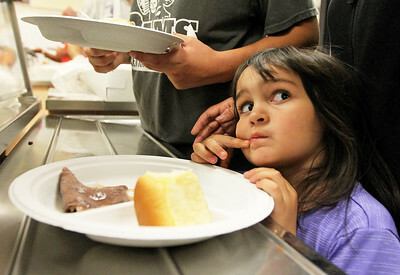 Candace H. Johnson-For Shaw Media Mia Lozano, 3, waits in line for her beef dinner as she stands next to her cousin, Cooper Vincent, 14, and his mother, Rachel, all of Grayslake during the Terry Rockenbach Memorial Lions Steer Roast at the Grayslake Middle School. 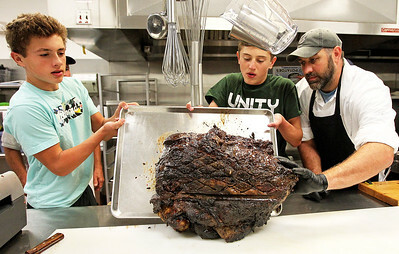 Candace H. Johnson-For Shaw Media Daniel Ota, 15, and Colin O'Malley, 14, both of Grayslake push some beef into the kitchen from the spit as Tim Keefe, of Lake Villa holds the door for them during the Terry Rockenbach Memorial Lions Steer Roast at the Grayslake Middle School. Both Ota and O'Malley were two of many Grayslake Central football players who volunteered their time for the event. 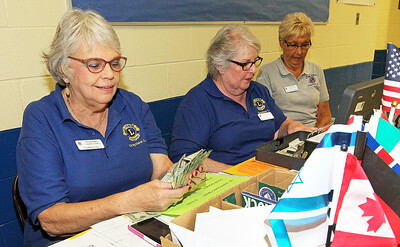 Candace H. Johnson-For Shaw Media Cynthia Lee, Beverly Amburgey, and Shirley Christianson, all of Grayslake collect the money for the Terry Rockenbach Memorial Lions Steer Roast at the Grayslake Middle School. Cynthia Lee was a cousin of Terry Rockenbach, a member of the Lions Club for over thirty-five years, who passed away this past June and who this year's steer roast is dedicated to in his honor. 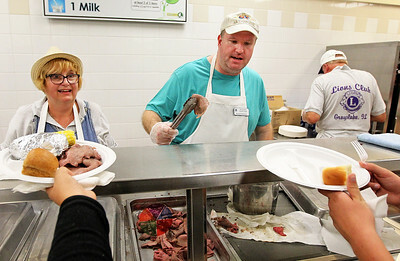 Candace H. Johnson-For Shaw Media Patti Jarvis and Daniel Graham, both of Grayslake serve potatoes, corn and beef during the Terry Rockenbach Memorial Lions Steer Roast at the Grayslake Middle School. Candace H. Johnson-For Shaw Media Grayslake Central's Aiden Brum, Alec Dempsey, and Connor Garbett, all 14, and freshman football players put together meals in the kitchen during the Terry Rockenbach Memorial Lions Club Steer Roast at the Grayslake Middle School. The whole Grayslake Central football team helped out at the event. 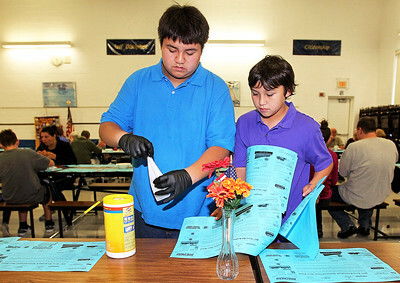 Candace H. Johnson-For Shaw Media Danny Graham, of Grayslake and his brother, Drew, clean tables during the Terry Rockenbach Memorial Lions Steer Roast at the Grayslake Middle School. Chad and Amy Spiegel, of Grayslake enjoy their beef dinner during the Terry Rockenbach Memorial Lions Steer Roast at the Grayslake Middle School.